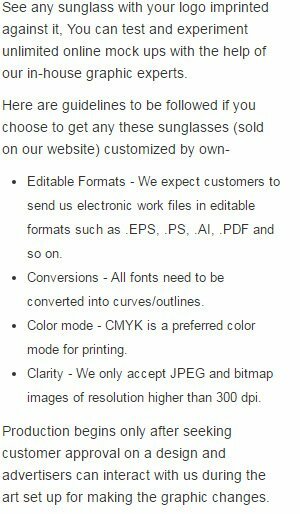 Customized PRO-AV sunglasses dates back to the classic era of fashioned eyewear and is still very much in demand. This PRO-AV sunglass is favored by advertisers who wish to promote in style with minimum investment and even fewer efforts. They can offer it as a business gift during some events or as a season greetings during the festivals. They can get this navigator sunglass suitably customized with brand logo or other business information prior to gifting.